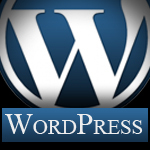 But for this post, I found after doing some research on the required extensions to be loaded for wordpress. >> php_exif.dll being one of those. But it was still commented out in my php.ini. So the natural thing to do is uncomment and restart your services, but it crashed with the error below. EEK! Hmmm. The next thing is to check the directory for the dll. YUP! It was there. PHP Startup: Unable to load dynamic library ‘Path://todrive/ext/php_exif ‘ – The specified module could not be found. Then I stumbled upon this post, iis-aid.com/php_exif.dll , which stated the php_mbstring.dll extension needed to load before the the php_exif.dll loads. Inside my php.ini file the php_exif.dll was before the php_mbstring.dll in the list of extensions in my php.ini file. Does that make sense? Why is that coming before the other if it can’t be loaded that way? Maybe it is a Windows thing. I’m guessing someone will comment on there theory or possibly even a logical reasoning behind. Oh yeah, so for the fix you just need to move your php_mbstring.dll above your php_exif.dll in the php.ini file extensions list and make sure they are both uncommented, then restart your server. This worked for me to get rid of this error. Probably not the only fix for this error, but it worked for me. If you found this post and have had similar errors but this didn’t fix it, please share your findings. 9 Responses to "php_exif.dll – The specified module could not be found." Thanks for this tip! sorted me out big time! Thanks !! Your tip solved our ‘problem’. it didn’t work..i do it just like the other forums have suggested.. still the same error.. Thanks, for your good article. Thanks mate, you were absolutely right, and found the solution – for me too! This way you can get rid of the startup error regarding ‘php_exif.dll’.